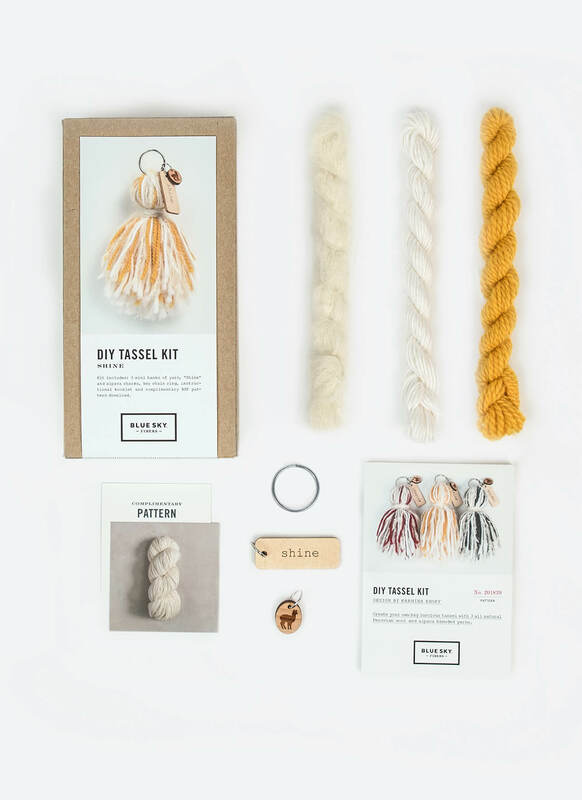 Get craft happy with Blue Sky Fibers’ new DIY tassel kits. 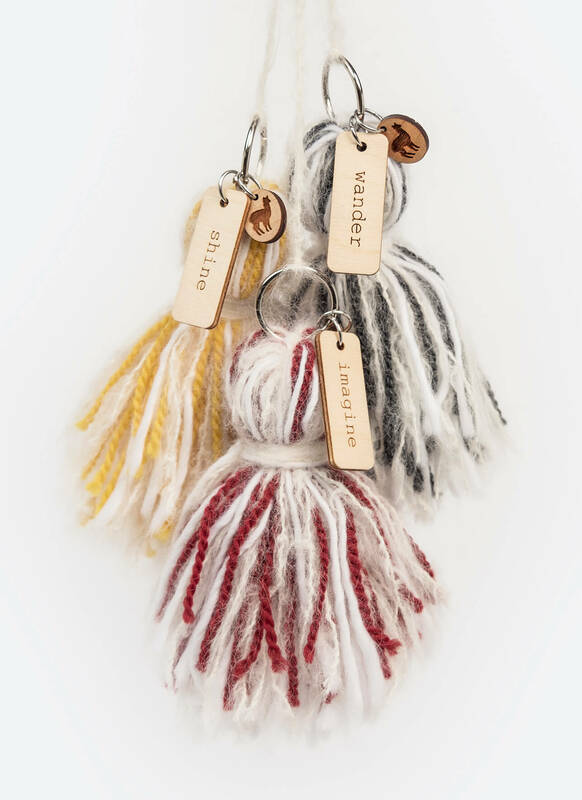 This simple and fun-to-make tassel is giftable as a kit or finished piece. 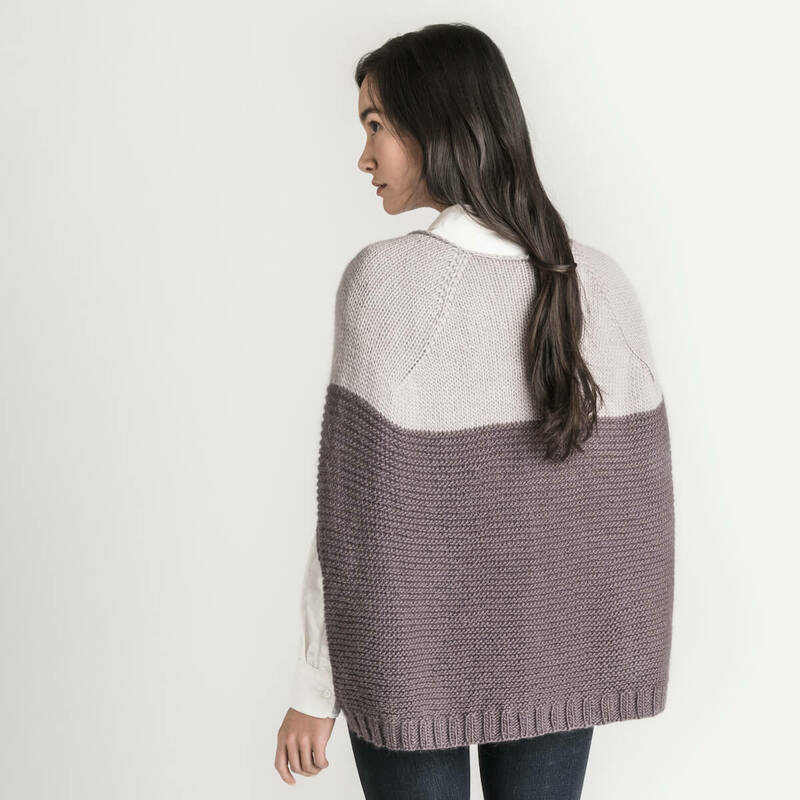 Best of all, it can be completed in less than a half hour – knitting skills not required! 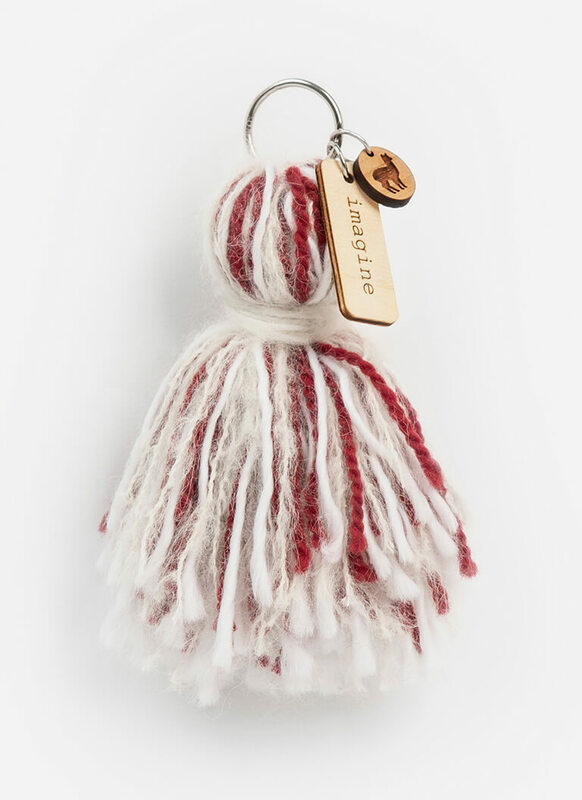 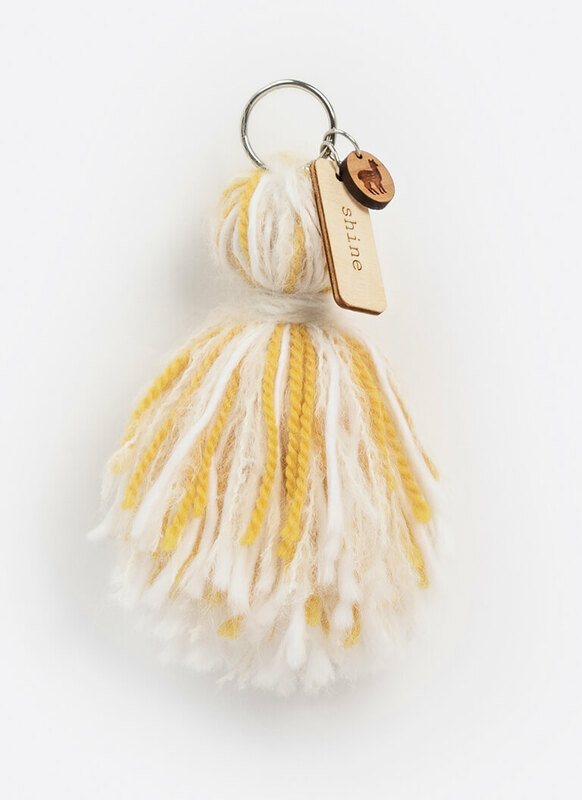 Each DIY kit includes all materials needed to complete the project including: mini-hanks of Woolstok, Suri Merino, and Brushed Suri, birchwood message tag, cherrywood alpaca charm, key ring and instructional booklet. 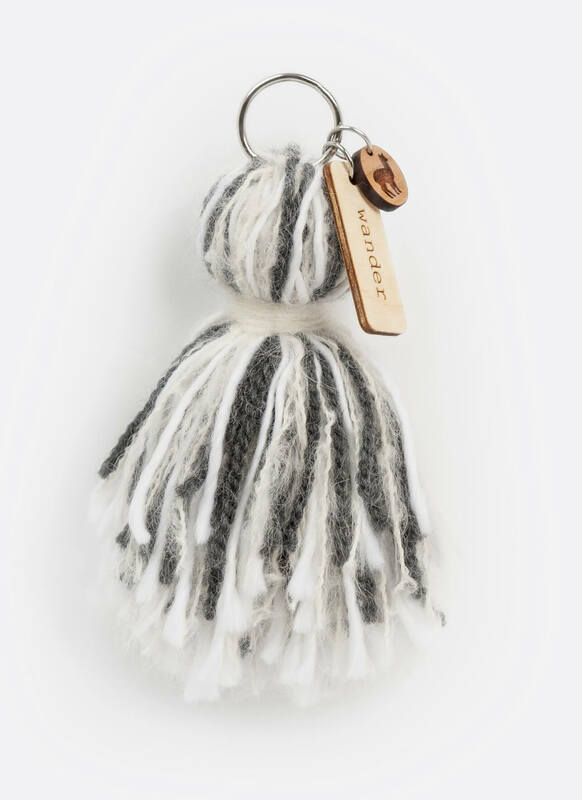 Also included is a bonus complimentary Blue Sky Fibers pattern download card. 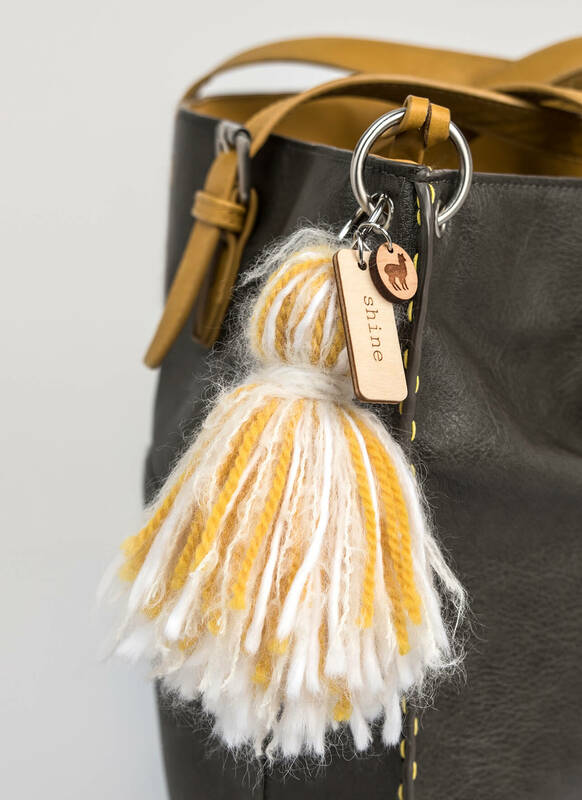 With Woolstok Cast Iron and a “wander” message tag, this tassel is ideal for the adventurer – a great reminder to get out there to travel, discover and explore.